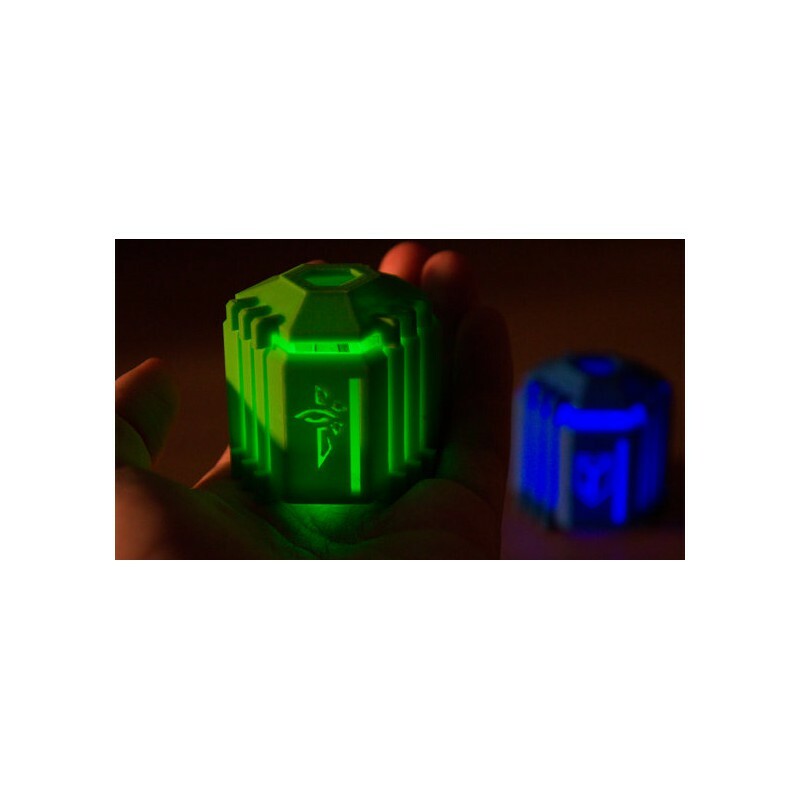 ENL & RES Capsule with LED light - Ingress Shop 3RD Faction: Buy Ingress Items Legal! 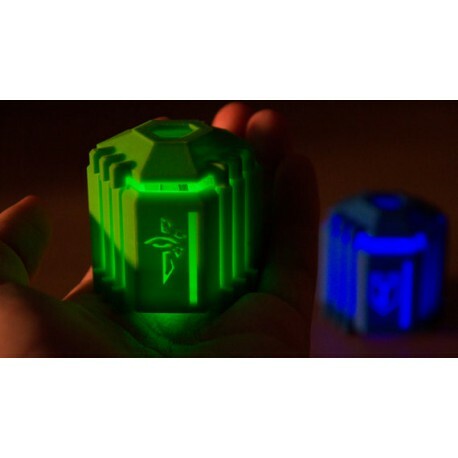 This figure's design is based on the Capsule of the AR game Ingress from Niantic Labs. It is a figure made from swag hunters for swag hunters. 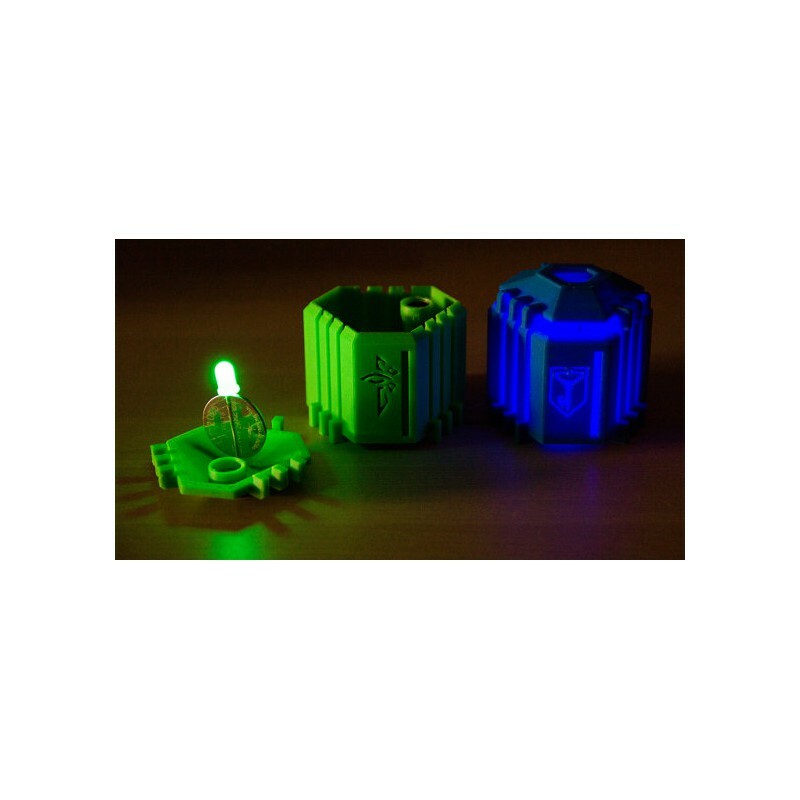 The Capsule illuminates with a LED powered by a small CR2025 coin battery which lasts for about 11 hours and is easily replaceable. 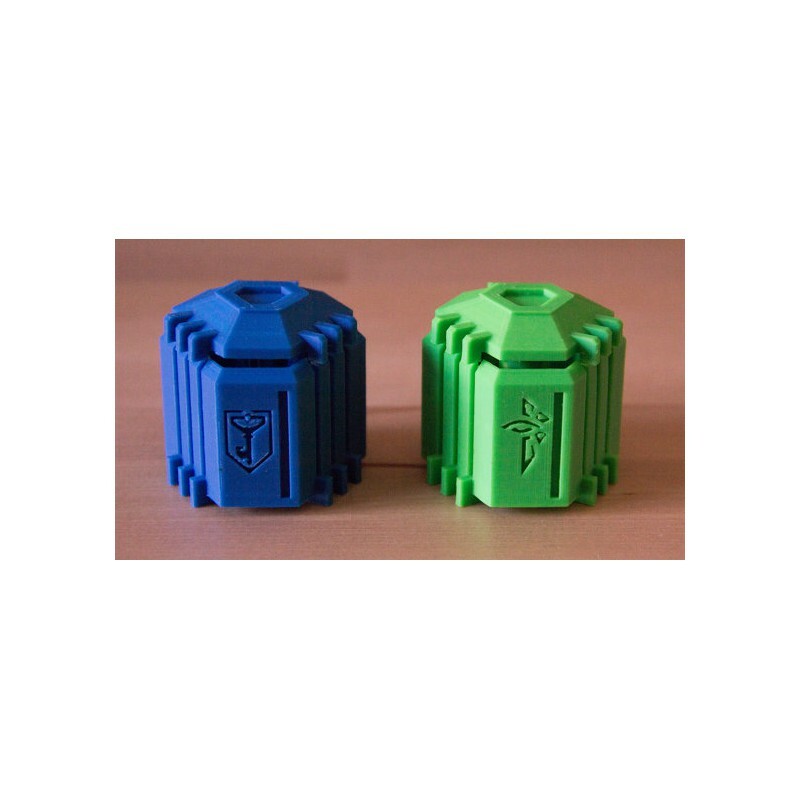 The lid is detachable and holds onto the base with two magnets. Every single Capsule is a unique and individual hand made object. 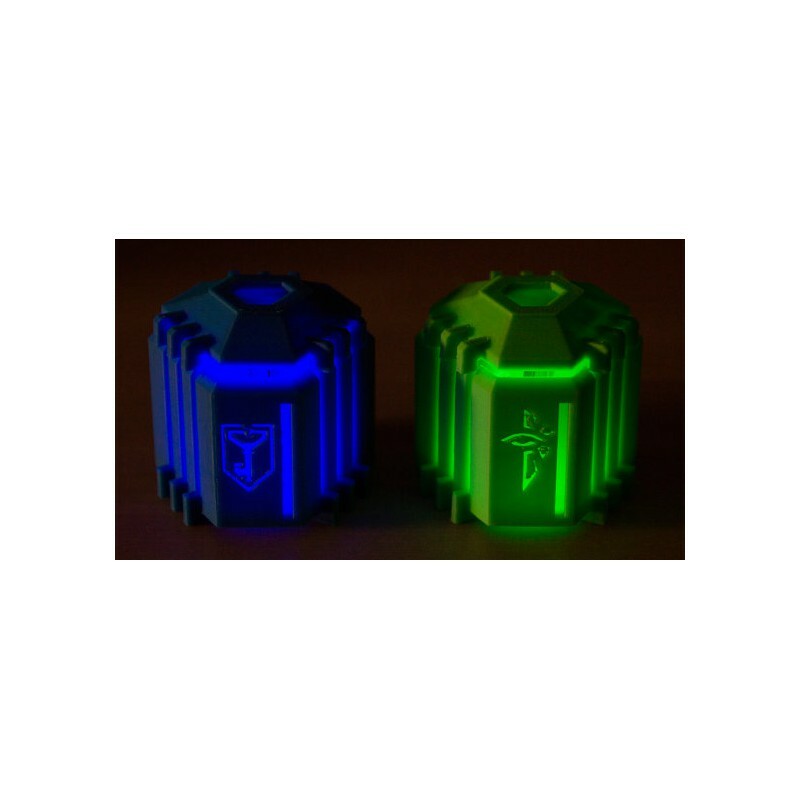 There can be some small variations between the Capsules due to the crafting process. BULK ORDERS: Please contact me prior to ordering if you intend to place an order of 5 or more capsules.